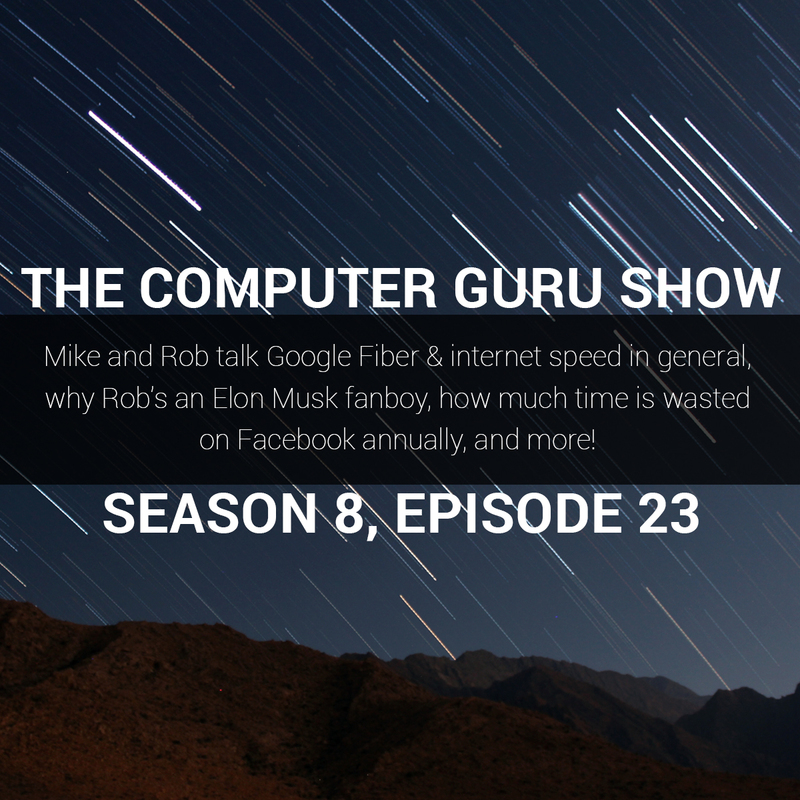 Podcast S8E23 – Mike and Rob talk Google Fiber & internet speed in general, why Rob’s an Elon Musk fanboy, how much time is wasted on Facebook annually, and more! Mike and Rob talk Google Fiber & internet speed in general, why Rob’s an Elon Musk fanboy, how much time is wasted on Facebook annually, and more! Mike and Rob discuss how Google is planning on hooking up free Fiber internet for thousands of housing projects around the country, the insane statistics of how much time is wasted on Facebook each year, Rob's (well-founded) opinion that Elon Musk is the last true dreamer, and much more!